There are about 10 million adults over the age of 50 in the United States who provide care for their aging parents. This group must also be planning for their own retirement and the task of being a primary caregiver can negatively affect saving efforts. A recent study from MetLife looked at the impact of caregiving on adult children and their future financial status. During the past 15 years, the number of adult children providing primary financial or personal care for their parents has increased more than three times. About 25 percent of all adult children in the country today are the main care providers for their parents. The same number is almost equal to the number of non-working adult children who help their parents. According to MetLife’s survey, the level of care provided by adult children to parents is about the same between male and female. However, men are more likely to provide financial assistance, and women tend to provide more personal care. The cumulative amount of lost Social Security benefits, pensions and wages among these adult caregivers is around $3 trillion. The total amount of lost money from reduced hours at work or leaving the workforce early to care for an aging parent is about $143,000 for the average woman. The estimated loss of becoming a caregiver is about $131,000 in Social Security benefits and $50,000 in pension funds. For men, lost wages from leaving the workforce early or reducing hours totaled to about $89,000 on average. The average Social Security income loss is about $144,000, and loss of pension funds is around $50,000. If other family members are willing to help, set up a plan to divide expenses. Use coupons, prescription discount cards and other saving aids when making purchases. Research local community services and outreach programs for seniors. Look for faith-based services and aid programs. Buy any supplies that are used in large quantities in bulk. Adult caregivers can save hundreds of dollars every year by employing these simple steps. AARP also recommends making individual care a top priority. Adults who care for their parents should eat well, get enough sleep and exercise. Mental health services and yoga or meditation classes are helpful in reducing stress. Joining a support group for other adult caregivers can also help. 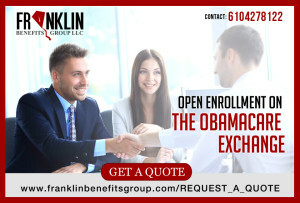 To learn more about this topic, please call Mike Braun with Franklin Benefits Group LLC at 610-427-8122. Green Tea–More Than Just A Drink? Many Americans are grossly underinsured against the risk of devastating long-term care costs. According to the 2016 annual Cost of Care Survey from Genworth, the average cost for a semi-private room in a long-term care skilled nursing facility is $82,125 and rising while the average assisted living facility costs $43,539 per year, on average. Both are enough to swallow most or all of the income produced by many pensions and other sources of retirement income. The vast majority of long term care expenses are not covered under Medicare. Instead, long term care costs for chronic conditions not related to a very recent hospitalization and must be funded either via private long term care insurance or paid for out of pocket. What Nursing and Rehab Care Does Medicare Cover? You require skilled care, and not just custodial care and assistance with activities of daily living, such as assistance with bathing, dressing, toileting and feeding yourself. Examples of skilled care include specialized physical therapy or other types of therapy requiring the attention of licensed professionals. Even if you meet all three conditions, Medicare will only cover your costs for a limited period of time. And the longer you remain in the nursing facility, the more you will have to pay out of pocket. For the first 20 days, Medicare will cover 100 percent of your costs. But for days 21 through 100, you must pay $140 per day out of pocket for long term care costs directly related to your prior hospitalization. After day 100, you must pay all nursing home/long term care costs out of pocket. To put things in perspective, only 20 percent of all nursing home stays last for less than three months, according to data from the American Association for Long Term Care Insurance. The average nursing home stay was 2.3 years for men, and 2.6 years for women. 24 percent of all nursing home stays last three years or longer, and 12 percent last for longer than five years. Long term care costs aren’t limited to skilled nursing homes. Most long term care insurance policies cover a broad continuum of care, from in-home care and assistance to adult day care facilities to assisted living facilities – none of which are covered under Medicare. Long term care insurance may also cover hospice care, as well. Every company has different specific benefits and exclusions. America’s poorest may receive some coverage via Medicaid – after spending their liquid assets down to poverty level. Generally, states will allow families receiving Medicaid benefits to keep their homes, but when the beneficiary dies, the state Medicaid recovery program will put a lien on the home and other assets, effectively seizing them and preventing you from passing these assets along to your heirs and loved ones until the state recovers what it paid out in Medicaid benefits on your behalf. The extremely wealthy, of course, can absorb the costs of long-term care. But for most of us in the middle, some form of long term care insurance is necessary to protect retirement nest eggs and incomes against the risk of being consumed by high costs for long term or nursing home care. However, do not rely solely on Medicare to cover long term care or nursing home expenses. If you have any questions, please call Mike Braun of Franklin Benefits Group LLC at 610-427-8122 or mikebraun@franklinbenefitsgroup.com. If you are a self-insured employer or other organization that provides minimum essential coverage (as defined in Internal Revenue Code Section 5000A(f) to any individual during the calendar year, you have some reporting responsibilities to the Internal Revenue Service. Furthermore, if you file 250 information returns or more during the calendar year with the IRS, you must report this information electronically, not later than March 31st(February 28thif you file manually rather than electronically. Name and taxpayer ID number of each individual you are covering, his or her legal responsible individual, including a parent, spouse or primary insured. If you cannot obtain the taxpayer ID number of the individual in question, after reasonable effort to do so, you may substitute the date of birth. You must also report the number of months in which you provided this coverage for one day or more. See Section 1.6055-1(e) of the regulations. Reporting entities should file single Form 1095-B with the IRS for all individuals covered, along with a 1094-B transmittal form. Entities filing 250 returns or more must use the Affordable Care Act Information Returns (AIR) Program to transmit these documents electronically. Those filing fewer than 250 returns have the option of filing them manually, though as noted above, manual filers must complete their filing by February 28th, rather than March 31st. Any entity that files a Form 1095-B must also provide the same information noted on the 1095-B to the individual designated as the responsible party via mail, unless this individual specifically consents to receive the information electronically. You can obtain this consent on paper or via electronic means, but if the consent is on paper you must obtain an electronic confirmation of consent in addition to the paper consent. Employers who choose to sponsor self-insured group health plans must comply with all information reporting requirements for providers of minimum essential coverage. This is true without regard to their status as applicable large employers (ALEs) under the shared responsibility provisions of the Affordable Care Act. Therefore, even smaller companies with fewer than 50 full-time equivalents must meet all the same reporting requirements as larger employees. Those entities that are designated applicable large employers, however, have another requirement: They must combine their reporting on a single information form: Form 1094-C, as well as a transmittal form, Form 1094-B. If you fail to file an information return, the general penalty is $100 for each missed return, up to a maximum of $1.5 million for each calendar year. If your deadline for the return is after December 31, 2015, however, your penalty is increased to $250 for each return you failed to file, up to an annual maximum (calendar year) of $3 million. If you fail to issue a correct payee statement, the penalty is $100 for those due on or prior to December 31, 2015, up to a total penalty of $1.5 million per calendar year. For returns due after December 31, 2015, however, the penalty per statement increases to $250, up to a total maximum penalty of $3 million per year. National Journal (11/6, Subscription Publication) reports that the ACA’s penalty for going without health coverage “sharply increases” in 2016 to “$695 per adult and $347.50 per child, or 2.5 percent of a household’s income—whichever is higher.” Whether it spurs people to get covered, however, “depends on whether or not uninsured Americans, or those thinking about leaving the exchanges, know about the individual mandate and its steep fee increase.” The article notes a Kaiser Family Foundation poll released last week “showed that only 15 percent of uninsured Americans knew when open enrollment was, compared to just 17 percent of the general public.” Additionally, “for some it still might be cheaper to pay the fee” than sign up for coverage. There are two ways to get prescription drug coverage through Medicare. One way is with Part C coverage, which is available through a PPO or HMO plan. These plans offer the same benefits as Part A and Part B coverage as well. Part D coverage is used separately from Original Medicare or PFFS plans and a few other types. A Part D plan only covers prescription drugs. Participants can enroll in Part D plans by mail, by phone or online. If a person is enrolled in a Medicare Advantage plan or Part C and enrolls in Part D, that individual will be removed from Part C coverage and returned to Original Medicare. Every prescription drug plan from Medicare has a list of covered drugs. Prescription drugs are placed in separate tiers based on their prices. Low-tier drugs usually cost less than drugs in higher tiers. There may be instances where a prescriber insists that a patient use a high-tier drug instead of a low-tier alternative. If this is the case, it may be possible to ask for an exception and have a lower copay obligation. Formularies may change each year based on Medicare’s guidelines. When changes involve a currently used drug, the plan must provide written notice of the change 60 days before the change takes place. Notification may be made by direct contact or when a patient requests a refill of the affected drug. There is an annual deductible that must be met. In addition to this, policyholders pay a premium and any coinsurance costs. There may also be costs for extra help, late enrollment and coverage gaps. Drug plans vary in price depending on the plan, whether the patient uses in-network pharmacies, the drugs used and whether the patient receives extra help. While plan participants do not have to enroll in Medicare again every year, there are certain time frames when initial enrollment and changes are permitted. Some people have existing plans with companies other than Medicare. When there is an existing plan with another company, it is best to consider the benefits of both before switching. For government health insurance such as VA benefits, federal employee benefits, Tricare or Indian health benefits, it is best to keep federal coverage. Contact any programs used such as food stamps, HUD or SSI to see how Medicare works with benefits. People who are newly eligible for Medicare should start planning their enrollment as soon as possible. It is important to be aware of the open enrollment period where changes and initial enrollment are allowed. To learn more about Medicare Part D plans and what options are best for individual needs, please call us. My contact information is below. The Internal Revenue Service (IRS) has released the allowable contribution limits for health savings accounts (HSAs) for tax year 2016. The announcement also includes the new caps on out-of-pocket costs for high-deductible health plans. Taxpayers must be enrolled in a high-deductible health plan (HDHP) in order to qualify to contribute to an HSA, which allows taxpayers to set aside money for possible medical expenses on a tax-deferred basis. Qualified taxpayers can contribute money to an HSA and deduct contributions. Withdrawals from HSAs to pay qualified health expenses are tax-free. There has been no change in individual contribution limits, which remain steady at $3,350 for 2016. HSA contribution limits for families will increase by $100, to a maximum of $6,750. The total out of pocket expense caps, including deductibles, co-payments and everything else the plan charges except premiums, have been increased for all plans. Individual caps on out-of-pocket expenses are increasing by $100, to $6,550 for 2016. For family plans, the maximum out-of-pocket expense for 2016 are increasing by $200, to $13,100. The lowest allowable deductible for an individual in an HDHP is $1,300; for a family the smallest allowable deductible is $2,600 for the year 2016. The increases reflect the government’s modest assessment of cost of living increases over the last 12 months. The revisions are made under IRC Section 223’s annual cost-of-living adjustment and rounding rules. Withdrawals made by those under 65 for nonqualified expenses are taxable as ordinary income. There is an additional penalty of 20 percent for nonqualified expenses. For tax years 2015 and 2016, there was a divergence in the ACA’s definition of out of pocket limits for HDHPs and the IRS’s calculation of out of pocket limits, which it makes for the purposes of defining which high-deductible health plans qualify their participants to make contributions to health savings accounts. For 2015, individual plans with out of pocket limits of $6,450 and family plans with out of pocket limits of $12,900 made the grade. For 2016, those limits increase to $6,550 and $13,100, respectively. Any sponsors of high-deductible health plans should take note of these current and pending limits and update any and all plan and enrollment materials. For more information, see IRS Revenue Procedure 2015-30. The Affordable Care Act is the law of the land – and employers have a lot of work to do to ensure they are in compliance with the employer mandate and other aspects of the sweeping health insurance reform law. Can employers reimburse employees for health premiums purchased via an exchange or from an agent in lieu of setting up their own plan? The Internal Revenue Service addresses these arrangements – known as “employer payment plans,” in IRS Notice 2013-54. The IRS considers these plans to be group health plans, and when undertaken by an employer who is otherwise required to establish a group health plan and provide benefits to qualified employees, is not in compliance with the ACA. According to the IRS, employers who do this in lieu of establishing a required ACA compliant health plan may be subject to an excise tax of up to $100 per day per employee. This could amount to a tax of up to $36,000 per employee per year, under Section 4980D of the Internal Revenue Code. Is there any kind of relief for employers during the transitional period? 1.) The plans are ’employer payment plans’ as defined in Notice 2013-54, provided the plan is not sponsored by an Applicable Large Employer (ALE) as defined in Paragraph (c)(2) of IRC 4980H (shared responsibility for employers regarding health coverage) and sections 54.4980H-1(a)(4) and -2 of the application. 2.) The employer payment plan is an S corporation arrangement for shareholder employees who own 2 percent of the company or more. 4.) The arrangements in question reimburse employees for TRICARE premiums within a health reimbursement arrangement (HRA). According to the IRS (Notice 2015-17), S corporations are permitted to continue reporting health insurance reimbursement payments to 2 percent shareholders as described in IRS Notice 2008-1. Until the IRS issues further guidance, and at least through the end of 2015, the IRS will not assert IRC Section 4980D in enforcements against any such S corporation that fails to satisfy the ACA market reforms that involves a 2 percent shareholder-employee healthcare arrangement. For more information about how the ACA’s reforms apply to various types of group medical insurance plans, to include health reimbursement arrangements and arrangements wherein an employer provides reimbursement to employees for premium expenses paid for an individual or family insurance plan (as opposed to a group plan) see IRS Notice 2013-54. For information about which employer plans will likely be found in non-compliance with the Affordable Care Act, see IRS Notice 2015-17. This notice also discusses transition relief arrangement specifics for smaller employers. It is important to find the right Medicare plan. Since there are hundreds of policies to consider when choosing and a large amount of information to learn with each one, most people just get frustrated and guess when they choose a policy. However, they typically wind up hurting themselves by paying too much for a plan that does not cover their needs. These are the six most common errors to avoid when completing Medicare enrollment. 1. Signing up too late or too early. The initial enrollment period for Medicare is when a person is 65 or nearing that age. Before turning 65, it is important to know what to do and when to enroll. Failing to do so will result in long-term penalties. If a person who is nearing the age of 65 is still working or that person’s spouse is still working and personal insurance complies with specific requirements, it makes sense for that individual to put off enrollment in Parts D, B and A. 2. Not knowing the difference between a Medicare Advantage plan and a Medicare supplement plan. People who are new to Medicare have an important choice to make when deciding whether to enroll in a Medicare Advantage plan or in original Medicare. Before enrolling, it is important to understand the benefits and advantages of each choice. Original Medicare involves a fee-for-service structure. Many people supplement their original Medicare plan with an Advantage plan to fill coverage gaps. In addition to this, beneficiaries typically choose a Part D plan to cover prescription medications. While Parts A and B in original Medicare cover some procedures and treatments, they usually lack coverage for others. This is where a supplemental plan is helpful. Advantage plans are considered Part C and are meant to replace Parts A and B but not to be supplemental plans. Medicare Part C plans also include prescription drug coverage. 3. Guessing when choosing plans. It takes a great deal of time to compare plans. However, it is essential to do some homework and to invest time researching. Avoid the common mistake of just picking an option out of frustration. Before picking a plan, review individual health insurance needs. Is there existing coverage from another source? Which hospitals and doctors are preferred? Are there any existing chronic conditions? What prescriptions are needed and where can they be obtained? Think about these factors to avoid picking a plan in haste. 4. Failing to apply for financial assistance. Millions of aging adults are eligible for one or more types of aid but do not realize this. The funds from financial assistance can be used to pay for prescriptions, coinsurance costs and health plan premiums. For those who have modest retirement income, it is best to check qualification criteria in advance. Discuss eligibility concerns and available options with an agent. 5. Not evaluating coverage each year. It is no longer a one-time choice for Medicare beneficiaries to pick health insurance. Changes are made to policies by insurance companies each year. If a certain doctor and medication are covered during one year, this does not mean they will be covered the next year. Experts say that beneficiaries could save themselves about $300 every year if they review Part D coverage annually. Research any coinsurance, cost and prescription drug changes. When determining if it is time to make plan changes, think about current health needs. Have they changed? Is the plan still meeting all individual needs? How many out-of-pocket expenses have there been in the past year? What were the expenses for? 6. Not seeking help. No person should have to go through this process alone and nobody has to. Get help from a trusted person who can assist in considering and picking options. When unsure about choices, use the Medicare QuickCheck feature to receive a customized report showing individual options. Use the report to discuss these options and which ones are best with an agent.